Approximate Size 7"x5.5" on 14 count Aida cloth - Use DMC Floss. 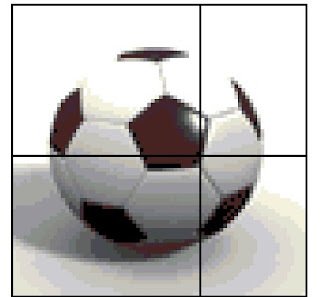 The soccer ball can be done in any black and white thread. There are additional colors in the pattern in case you want to cross stitch the shadows of the ball but that is optional. Please leave a comment on the pattern once you have downloaded it. I am trying to create a collection of patterns and want to make sure I get them correct before posting them online. The comments can be posted on the same site as where you download the pattern from. Thank You!